Flooring & Wallcovering > Paint, Decorative plaster > Decorative paint > Colorificio San Marco S.p.A.
CADORO Colorificio San Marco S.p.A.
CADORO creates soft walls, silky to the touch, with iridescent and polychrome details. The wide color range creates infinite combinations of colors able to re-invent and embellish any environment. 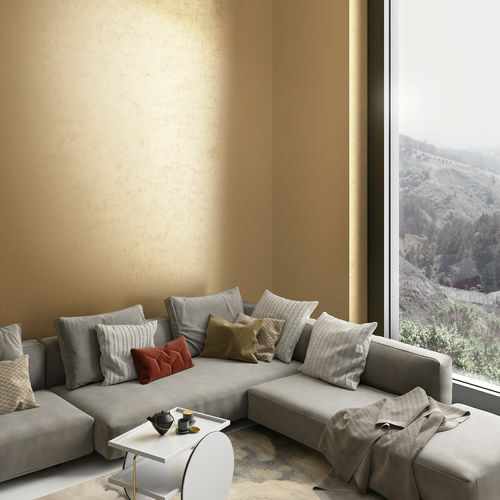 With a quick and simple application it will be possible to obtain a wide variety of bright shades and pastel strokes, or of warm colors, embracing and visually striking material to meet every decorative need. Apply CADORO, on a dry surface, previously coated with DECORFOND.